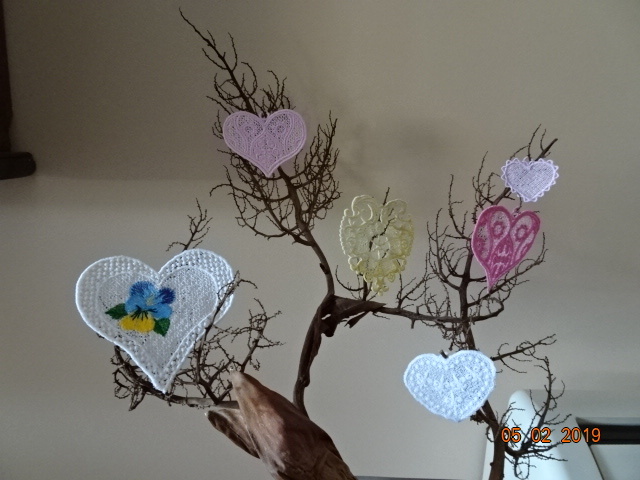 A Tree with Hearts in my living room ! This is sdo cute! Looks great! The variety of styles and colors make this tree very interesting. A great way to dress up a room for Valentine's Day. Are you trying to remind somebody it's Valentine Day soon? I can recognize 3 hearts. Very well done and nice display. 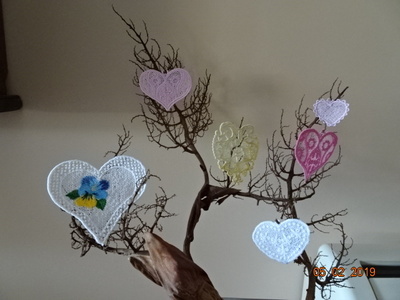 Great branch and sew nice fsl hearts.